In order for a business to thrive and be successful there needs to be a staff of talented individuals that are driving it forward. With all the talk of a talent shortage lately, it’s only natural to get a bit worried. 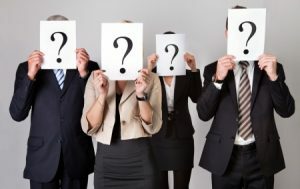 So, here’s the question, are you unwittingly creating a talent shortage in your business? Are you maybe setting your business up for disaster? There are some signs to watch for that will help you determine if this is an area you need to work on in order to prevent a future shortage. The first thing to be aware of is that talent is not on the rise. In fact, many businesses and employers feel just the opposite is true – that it is becoming harder and harder to find talented individuals. What this means is that when you do come across them you want to be sure you hang on to them. According to the 2016/2017 Talent Shortage Survey by ManpowerGroup, 46% of employers in the U.S. were experiencing difficulties finding talent. The jobs are there, it’s the talent that isn’t according to the survey results. While it’s easy to put the blame on the job seekers, the blame can actually be shared by the employers as well. There are a few things that employers have been doing that are contributing to this talent shortage. With the advent of social media everyone seems to be obsessed with it. Today is it not uncommon for a potential employer to take a look at a candidate’s social media accounts before deciding whether or not to hire them. The problem with this is that it has nothing to do with their talent and knowledge in the job. Judging them based on their social media activities can end up ruling out extremely talented individuals. Another area where your business may be going wrong is in the job post itself. It has been shown that these posts often contain words that are gender specific. This ends up turning away people. Instead it is recommended you use gender neutral language. Keep it open to males and females who have the experience, knowledge, and talent for the position. Look inside your current business, do you help to develop your own employees and help to develop their talents? You may be surprised at how much talent is going to waste simply because the company doesn’t allow for development of it. Investing in employee training can lead to some huge pay-offs when it comes to talent, and it may save you from having to hire outside the company. When it comes down to it, employers really need to work on unearthing the talent that is all around them. That could be the existing employees they have, and the potential candidates they are interviewing. It’s important to keep an open mind and ask how you as the employee can help to build upon the talent available.